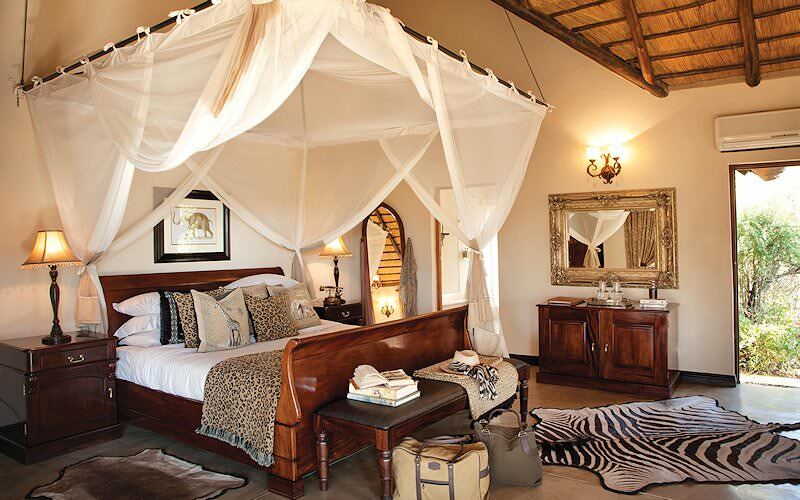 Kings Camp is the finest safari accommodation in the Timbavati Private Game Reserve. 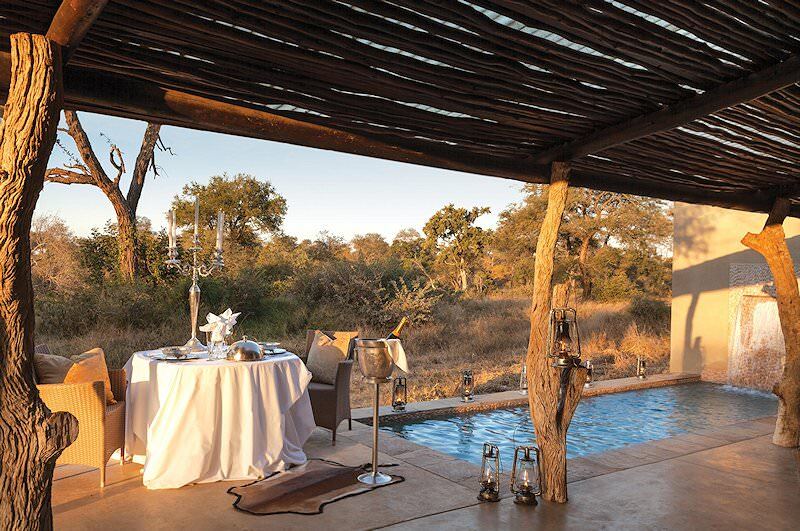 Kings Camp is found in the northeastern corner of the Timbavati Private Game Reserve on the border of the Kruger National Park. There are no fences that separate Kruger and Timbavati. This allows unrestricted movement of animals between the areas, offering visitors an authentic safari experience. 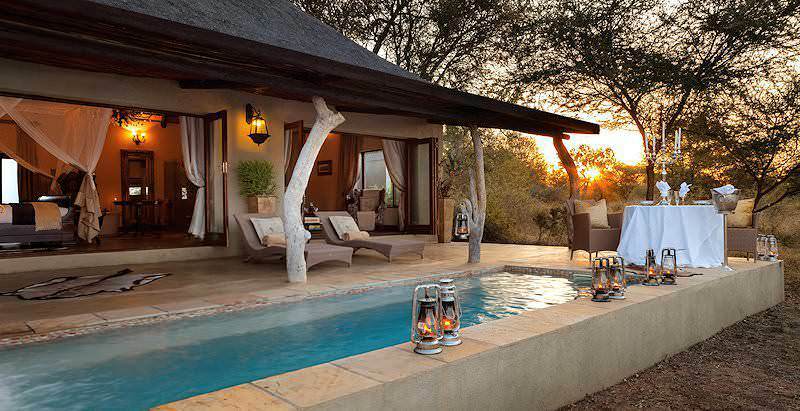 The lodge faces an open savanna plain with a waterhole, frequently visited by animals to quench their thirst. 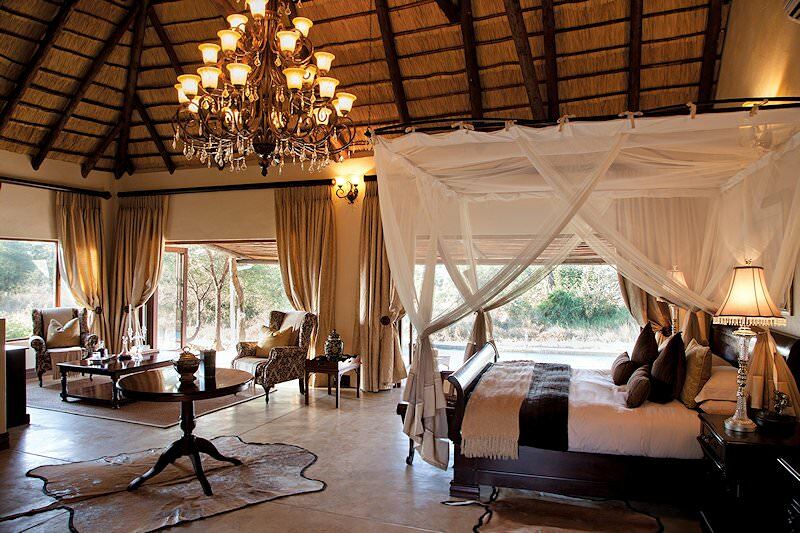 The five star Kings Camp has eleven colonial-style thatched suites. The suites are lavishly and tastefully decorated. 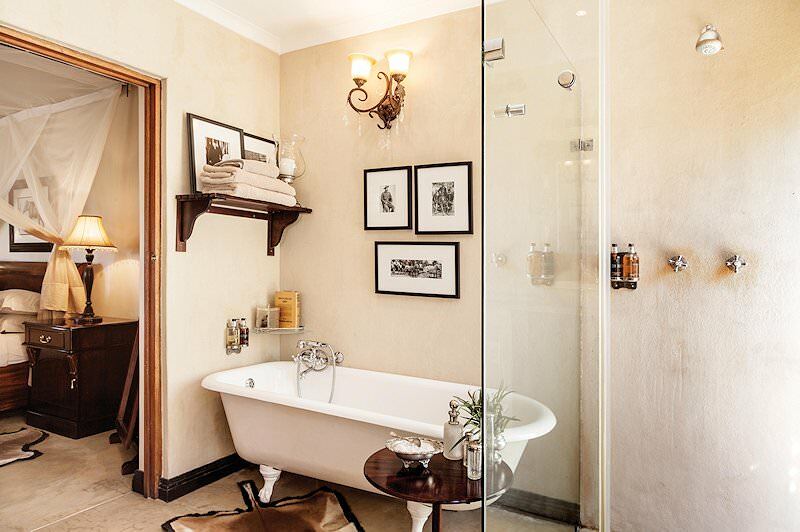 All are spacious with en suite bathrooms that feature Victorian-style baths and separate showers. 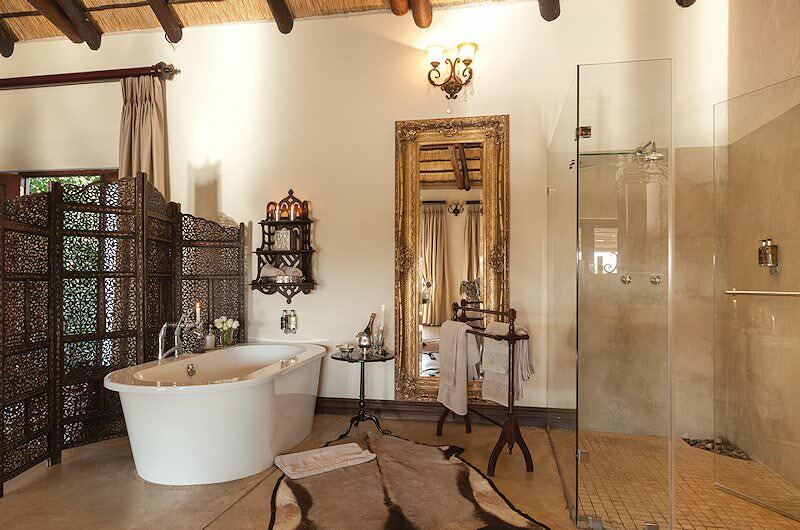 Each suite has an outdoor shower and private veranda with a hammock to relax in. The suites are air-conditioned and fitted with mosquito nets, as well as fully-stocked mini bars. 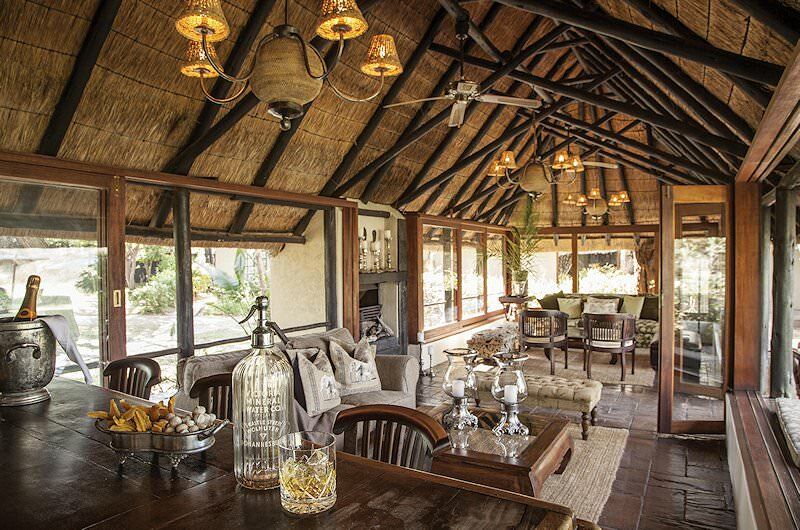 Breakfast and lunch are served in the dining room, which boasts spectacular views of the bush. The crackling sounds of a log fire and stunning views of the night sky enhance the atmosphere at dinnertime in the boma. The lodge features a comfortable lounge and a small library where guests may choose from a variety of books. 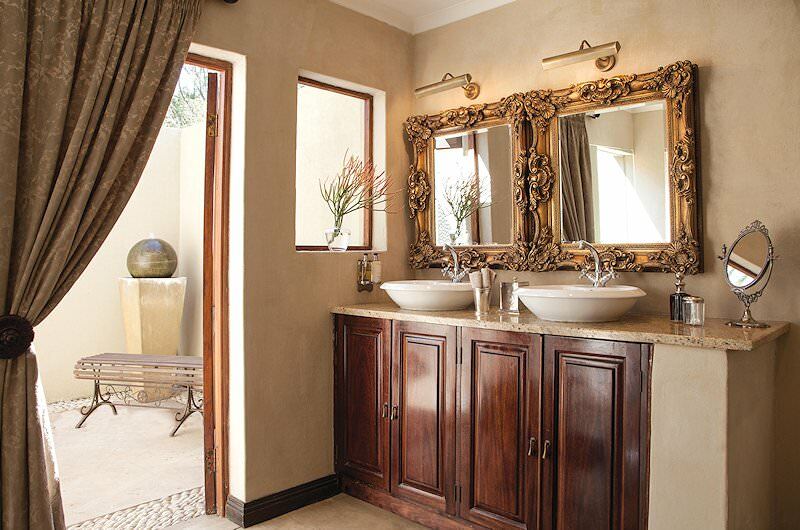 A range of spa treatments are on offer, as well as a fully-equipped gym to keep trim throughout your indulgent safari in South Africa. 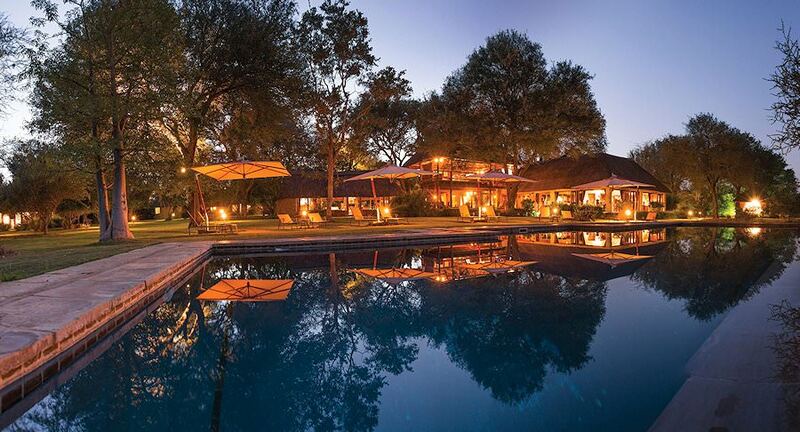 From O R Tambo International Airport in Johannesburg, guests are flown to Hoedspruit and then transferred to Timbavati Private Game Reserve - home of the illustrious Kings Camp - for their safari adventure. Morning and afternoon game drives in elite Big Five country may be substituted for private drives with your own personal guide any time of the day - perfect for photo safaris. Game walks offer unique approaches to the surrounding wilderness. Take your exquisitely-prepared meals in the seclusion of the bush, the privacy of your suite, the sparkling perimeters of the pool, the extravagance of the dining room or in the boma beside the roaring glow of the fire. Spoil yourself with massage treatments in the camp's spa or opt for additional excursions in the area, such as the Moholoholo Wildlife Rehabilitation Center or elephant-back safaris at the nearby Jabulani Camp. Clients of African Sky have been visiting Kings Camp for many years. I have personally stayed at this luxury lodge on more than one occasion. The core staff at Kings Camp have remained the same for just over a decade. 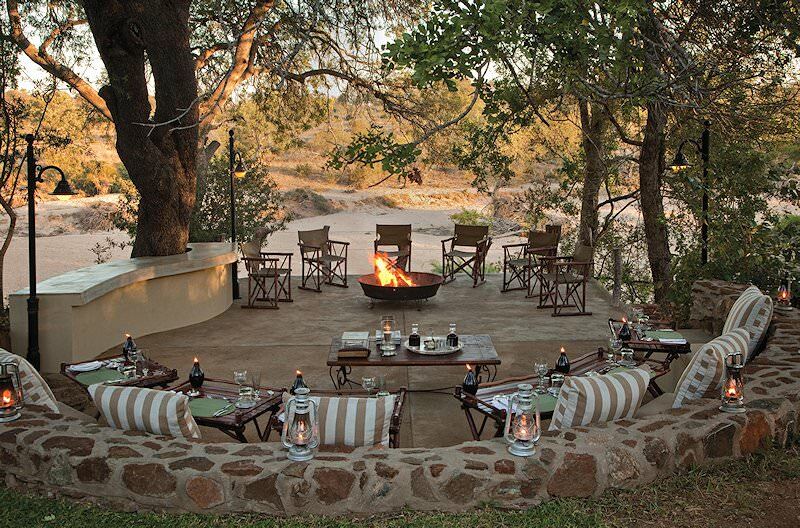 Many clients have commented on how well the camp is managed, and how it is almost like being on safari with friends. I agree that Warren and his team do one of the finest jobs in hosting clients. The game drives in Timbavati offer as many sightings as in the Sabi Sand, but normally with a much lower vehicle density. I highly recommend this camp. 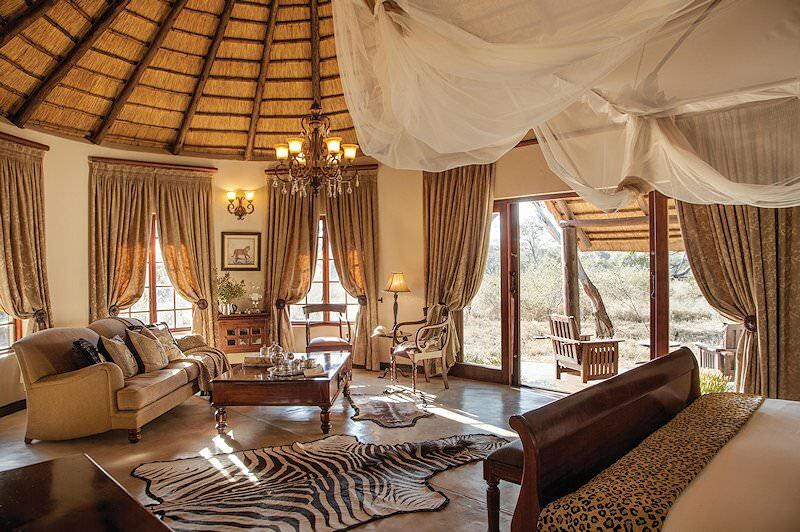 South Africa's collection of malaria-free reserves are ideal for family safaris. 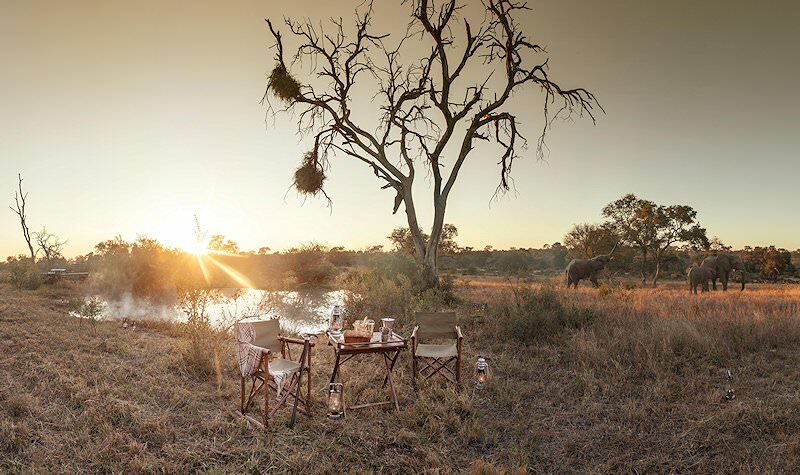 Botswana is sought-after for its pristine wilderness areas and truly wild safaris. Travel to Namibia for an unforgettable desert-oriented safari. Zambia is home to exciting destinations like Livingstone and South Luangwa. Travel to Zimbabwe for a superior view of the world wonder of the Victoria Falls. Mozambique is both a popular honeymoon and adventure destination. The Kruger National Park is South Africa's top safari destination, catering to a wide range of budgets and offering astounding diversity. The luxury safaris offered by African Sky are conveniently inclusive, from your gourmet meals to your exciting safari activities. The Big Five are responsible for some of the most exquisite safari encounters, like interactions between a pride of lions. We include a choice selection of African lodges in our itineraries, from four star camps to exclusive lodges that surpass star ratings.